Advertising with Irelands Directory makes excellent business sense because of its unique design which allows advertisers select the exact business category and location for maximum exposure in marketing their products and services. Unlike other directories, Irelands Directory shows all businesses on one page which means browsers don't have to search through numerous pages to find the details of the business they require. Also, browsers will only find businesses for the location they have specified in their search. Research shows most browsers won't navigate past the first page. 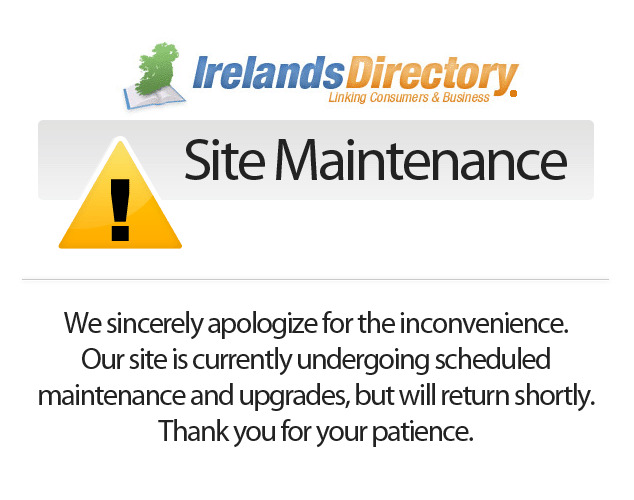 Therefore, Irelands Directory delivers exactly what the consumers ask for. Increase you profits now by advertising with Irelands Directory and avail of up to 4,000,000 page impressions we receive to our site. A Platinum Listing appears in the most prominent position at the top of the page and contains all the necessary information to allow consumers make a quick decision to buy your product or service. Platinum Listing prices can differ depending on location. Click on the Subscribe button below to pay for your Platinum Listing through Paypal. Paypal is a secure online payment service. "Since taking a Platinum Listing on Irelands Directory we have had a huge increase in enquiries"
"Our Platinum Listing in Irelands Directory has really helped us launch our new business"
A Value listing appears under the Platinum listings and offers customers all your contact information. Click on the Subscribe button below to pay for your Value Listing through Paypal. Paypal is a secure online payment service..
A Basic Plus Listing allows consumers contact you by email using an email enquiry form. Click on the Subscribe button below to pay for your Basic Plus Listing through Paypal.